Originally broadcast live on WFCF on April 22, 2011. Tracks and remixes from Break, Boddika, Von D, Intelligent Manners, Diplo and more. There have been a bunch of free tunes dropping the past week or two… and for those of you who don’t follow the go-to spots on the interwebs, we’ve compiled some of our favorites for you. So have a listen, snag a download or two, and while you’re at it, support the artists by purchasing some of their tunes off Beatport, TrackItDown, or whichever online resource you go thru! Originally broadcast live on WFCF on April 15, 2011. Tracks and remixes from Rusko, Kito & Reija Lee, Kill The Noise, Need For Mirrors, Total Science, Blue Motion & more. The first Friday edition of Subliminal Messages since 2000! Subliminal Messages moves to Friday nights! We’re super excited to announce that Subliminal Messages Radio will be airing on Friday nights starting tomorrow, April 8! It was kind of a last-minute decision, but when WFCF’s management asked us to move to Fridays, we couldn’t say no. We got our start on Friday nights way back in 1996, so we couldn’t feel more at home… Fridays definitely fit our vibe a lot better, and it gives us a better chance to get your weekend off to a great start – no more getting amped up on Thursday nights just to have to work on Friday morning. Now, once the work week is done, all you have to do is kick on the radio (or click the stream – whichever you prefer) and get ready for the weekend! Our friend Robbie Willy and his show, The Aftermath, will be moving from the 9:30-Midnight slot to cover 7-9:30, with an unnamed show to follow. 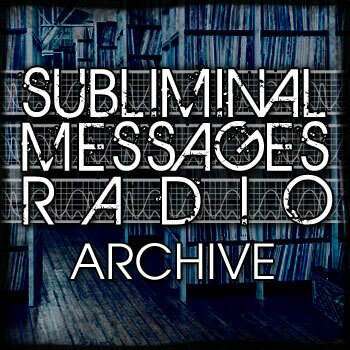 Join us tomorrow night at 7 for the first Friday edition of Subliminal Messages since 2000!